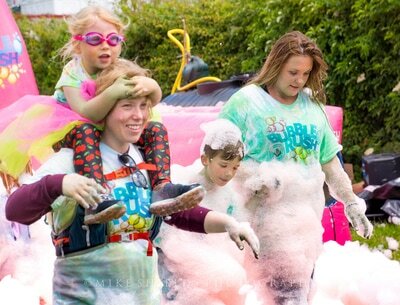 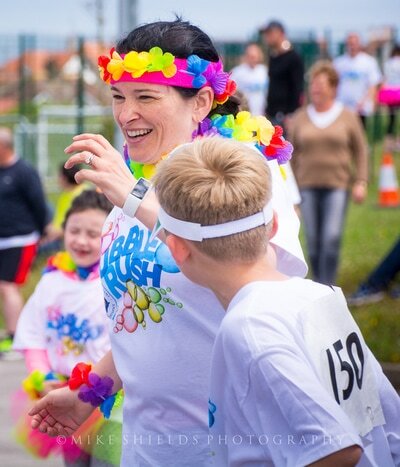 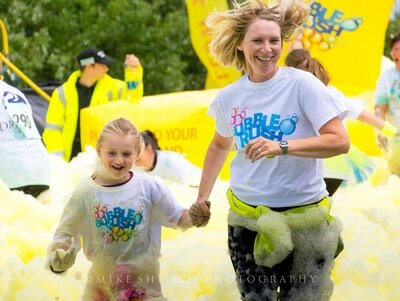 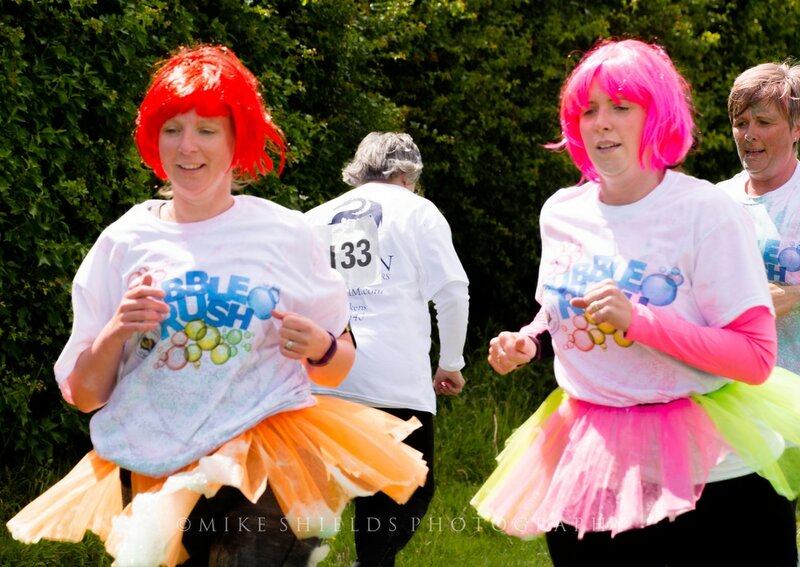 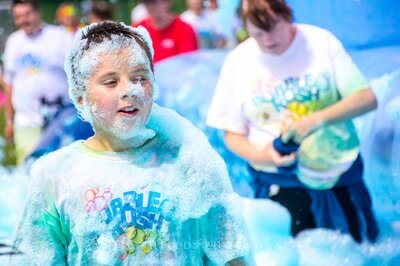 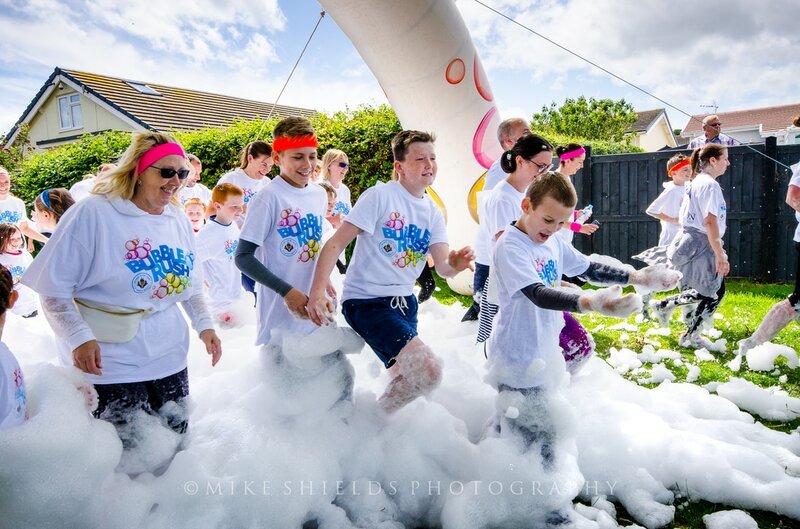 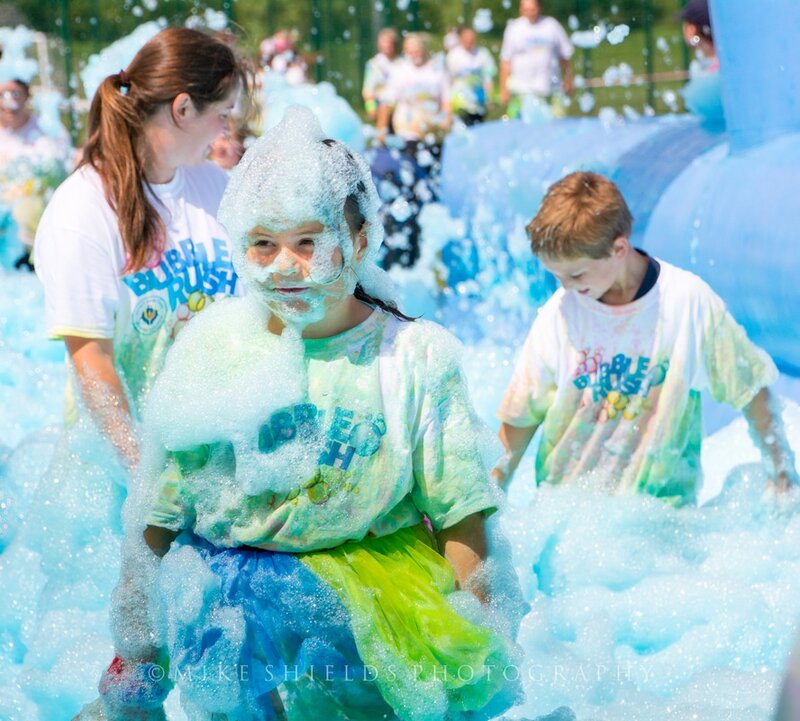 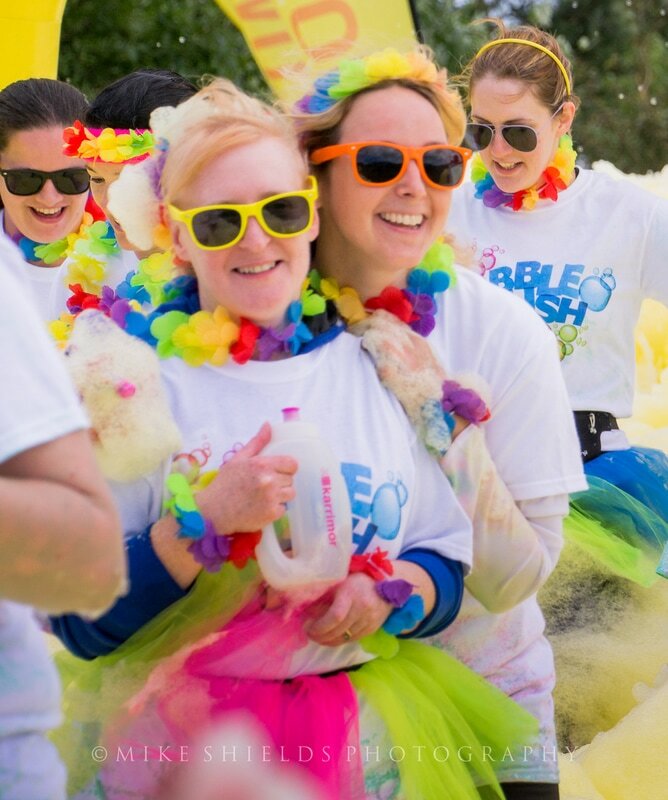 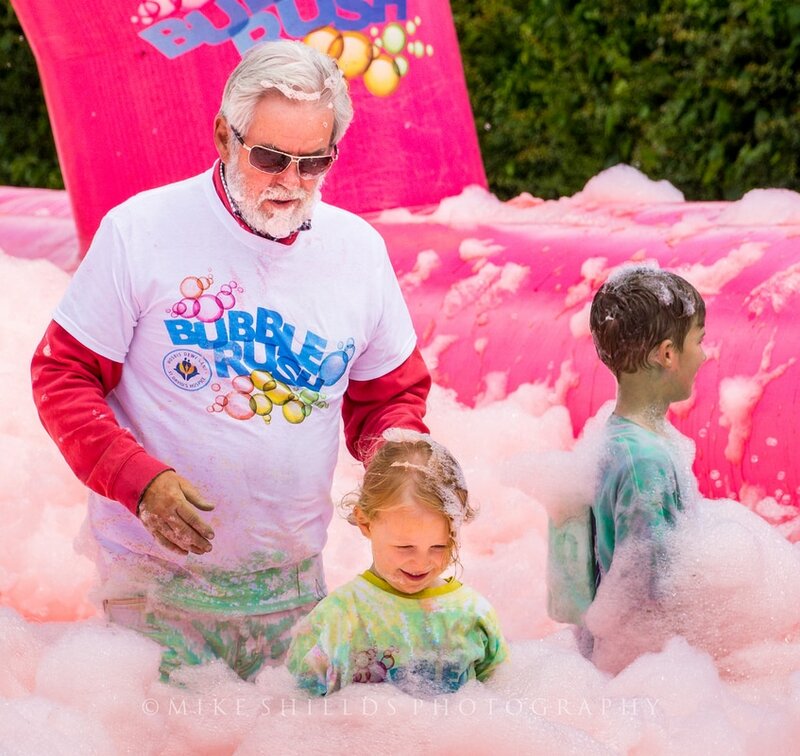 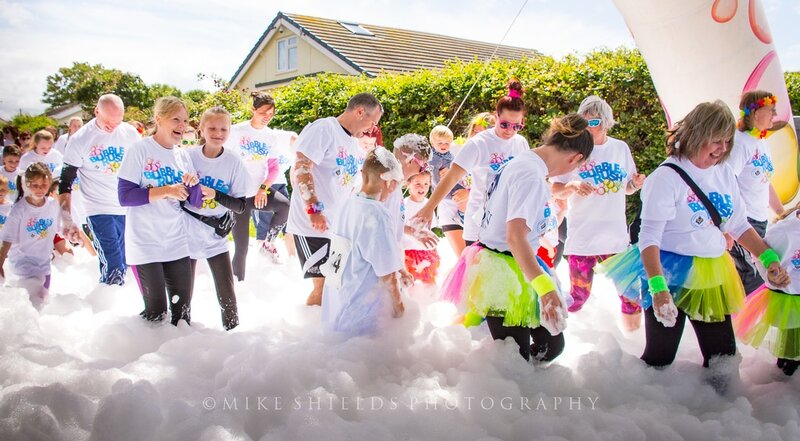 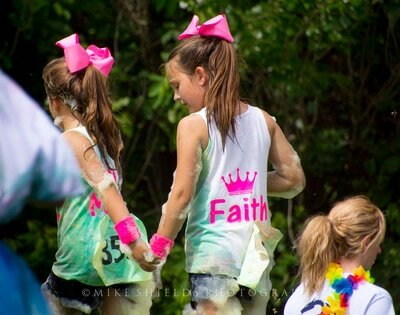 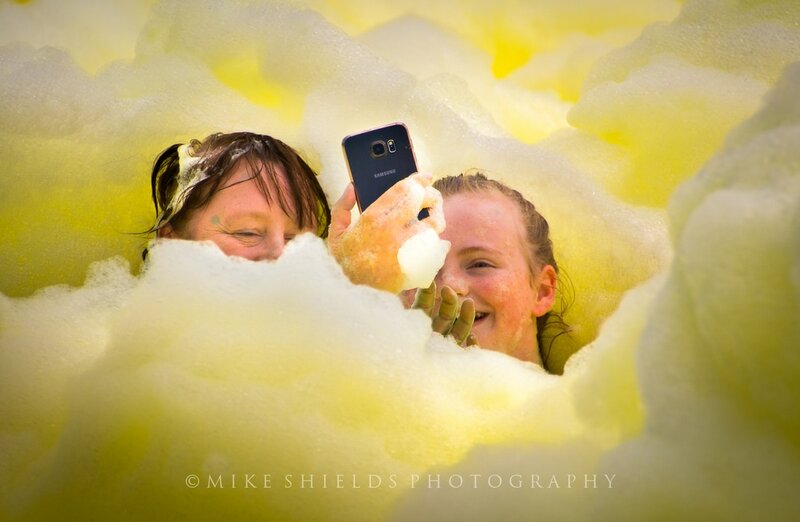 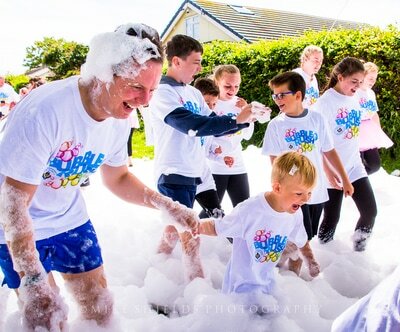 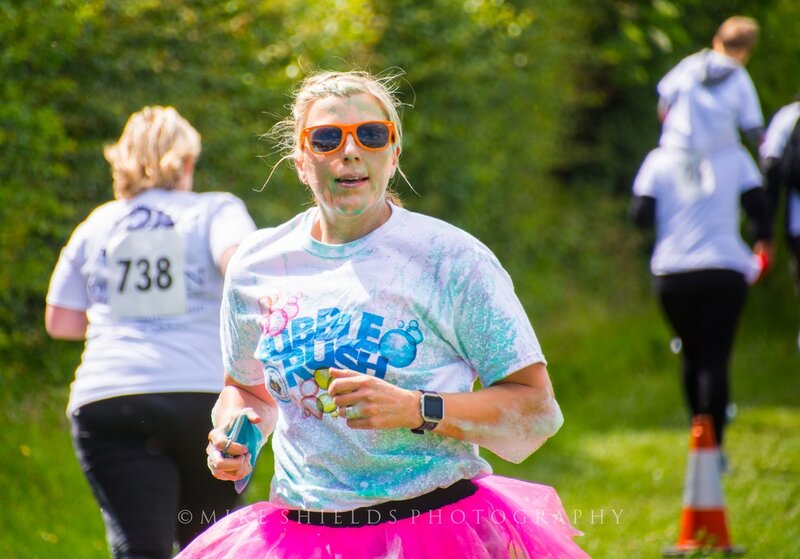 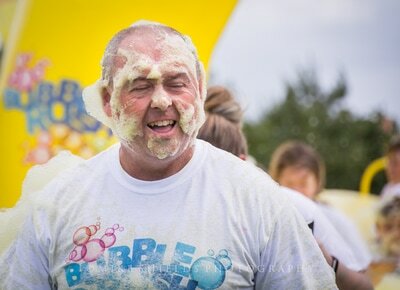 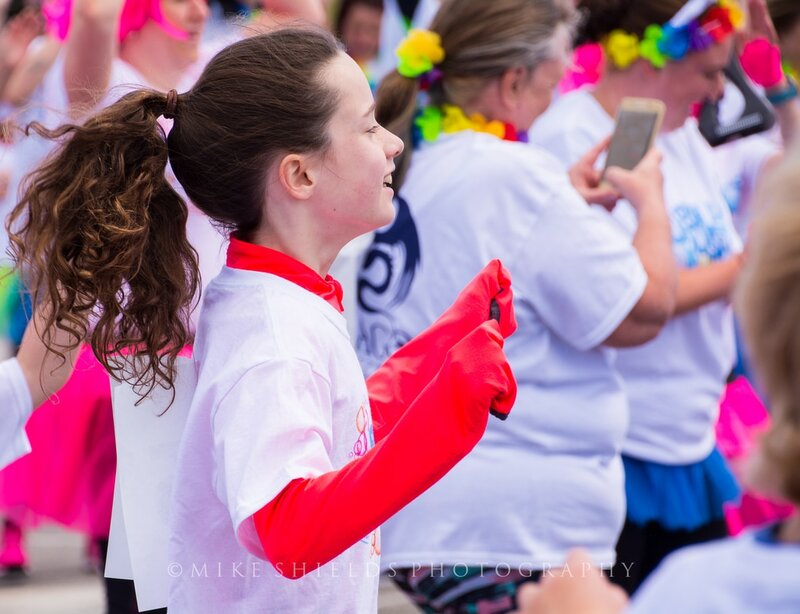 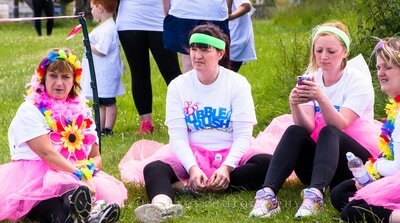 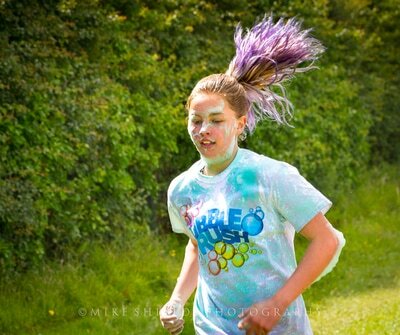 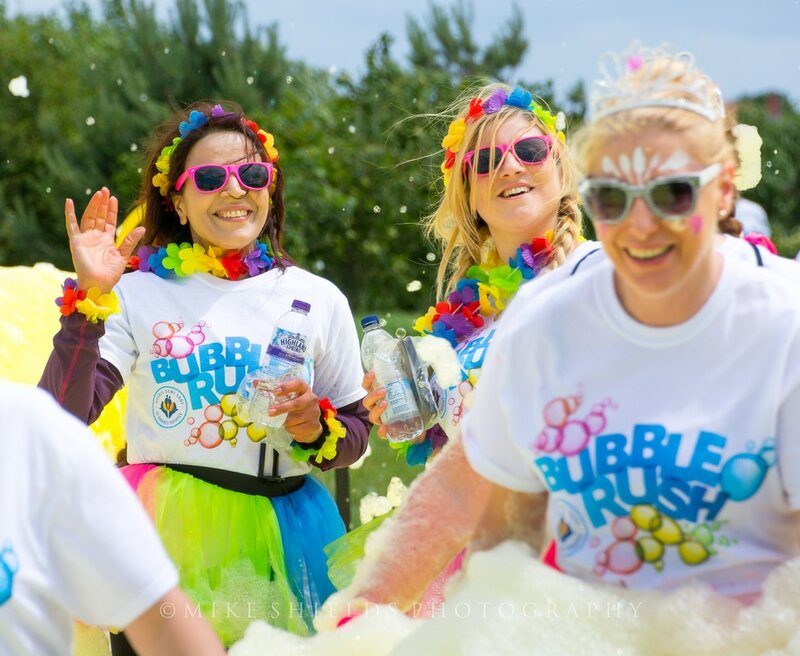 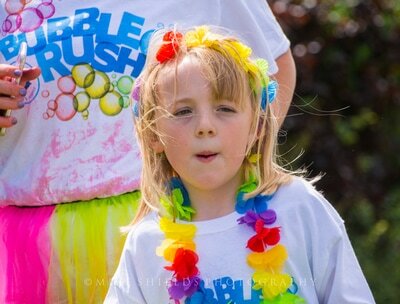 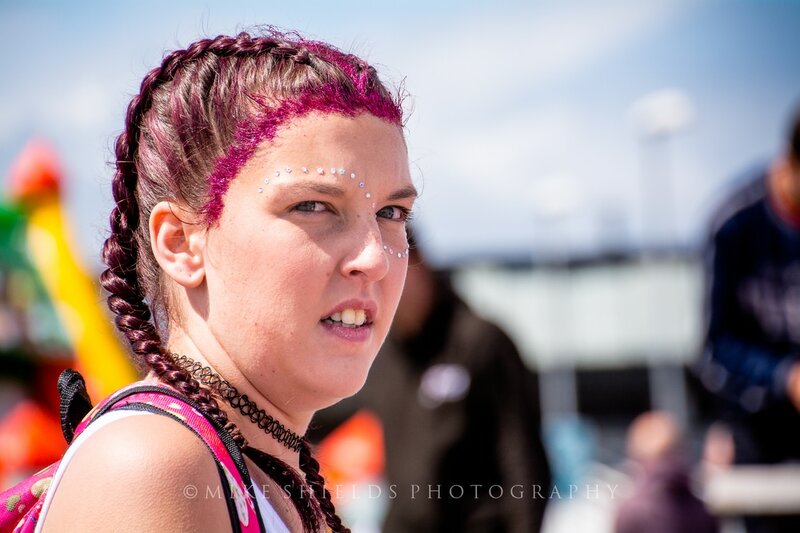 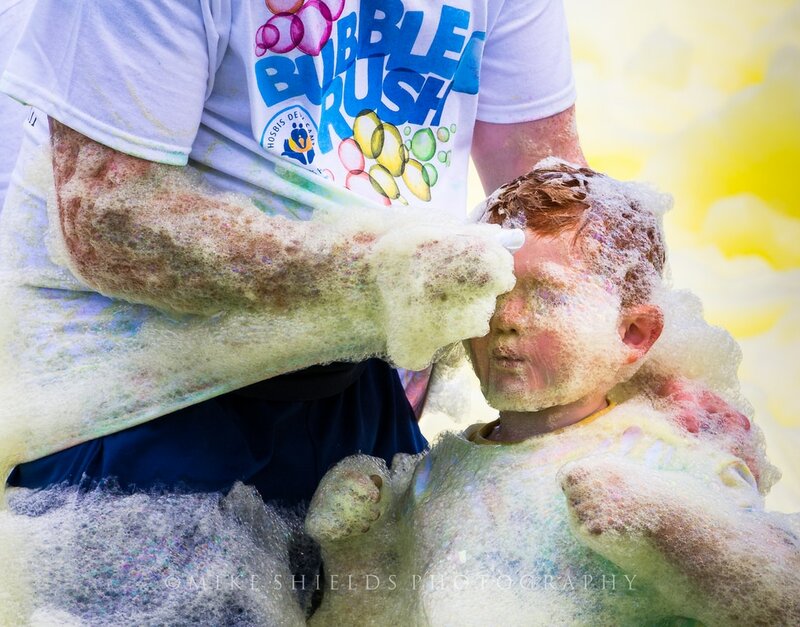 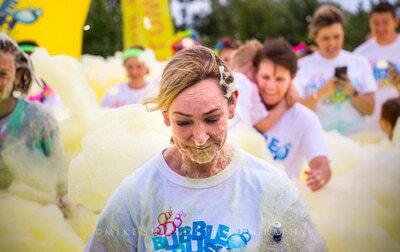 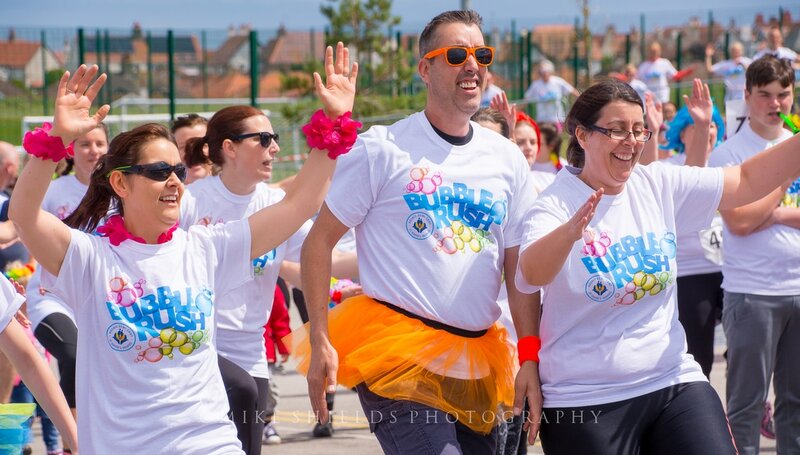 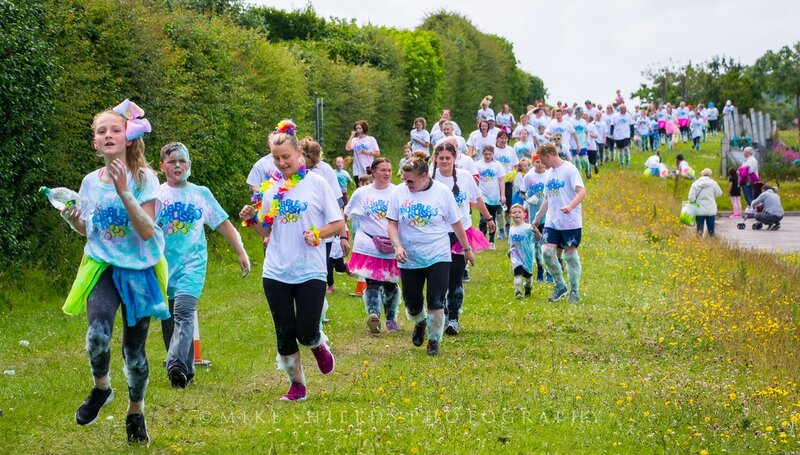 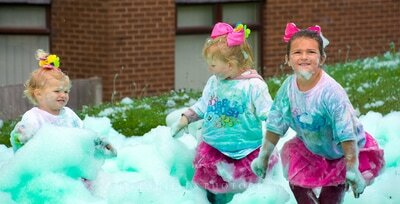 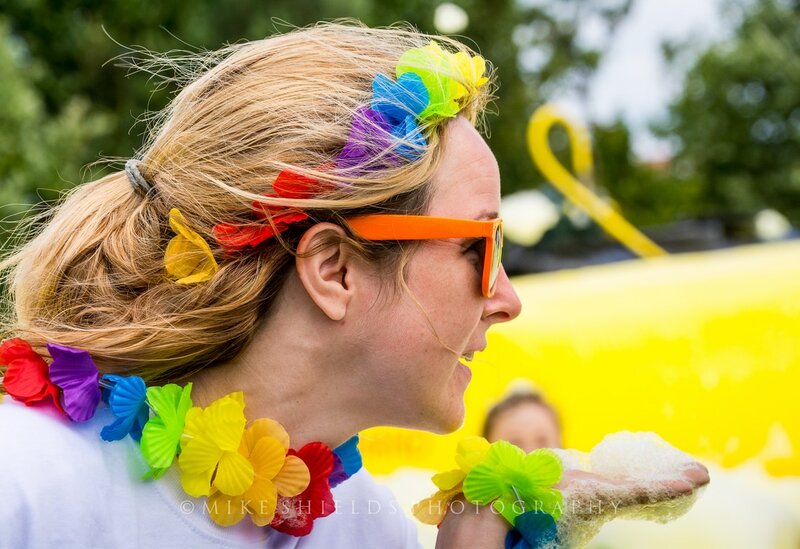 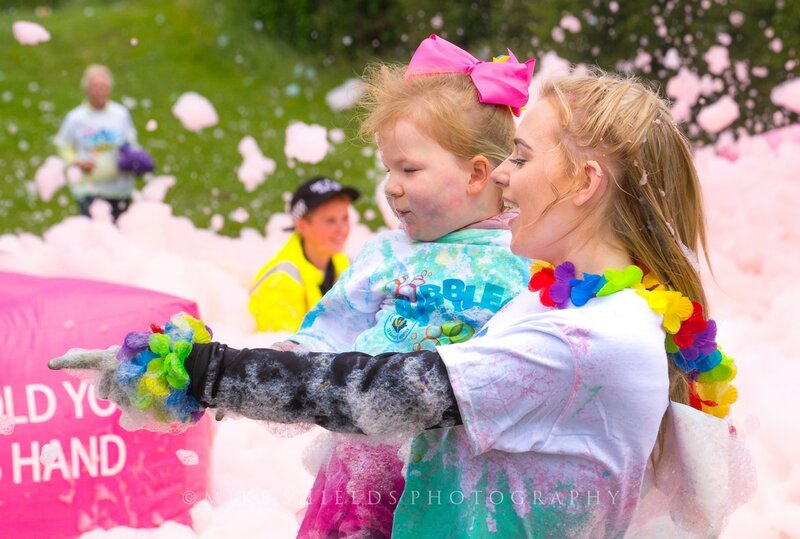 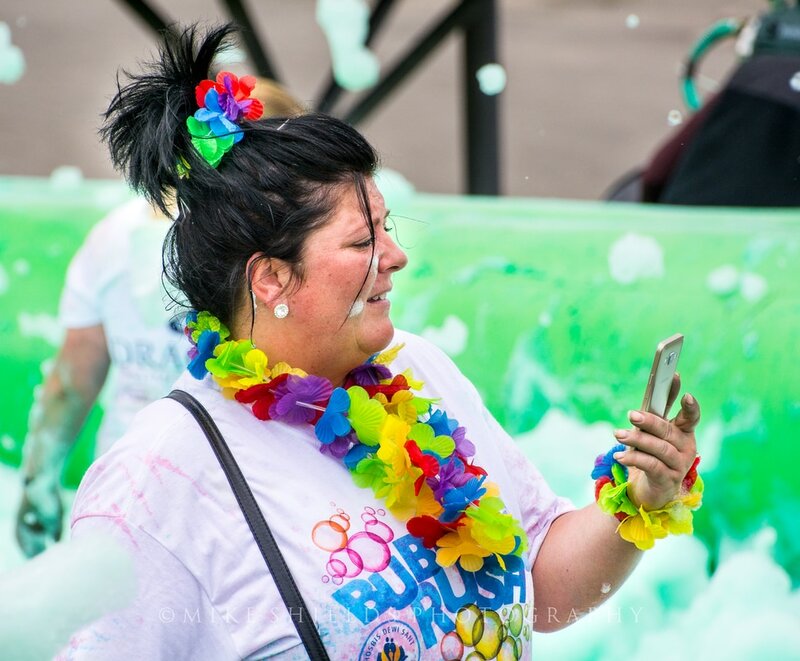 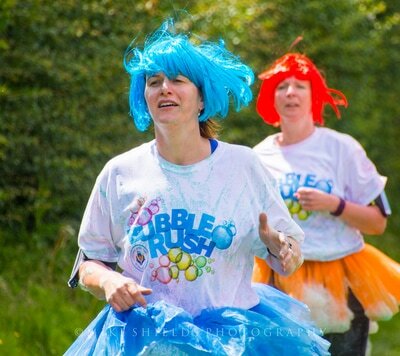 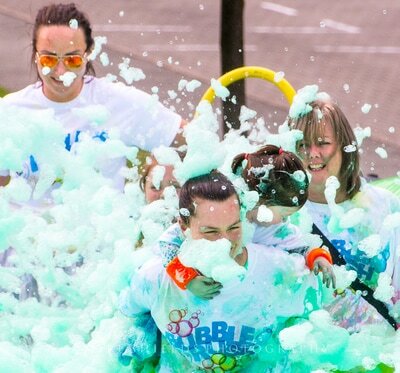 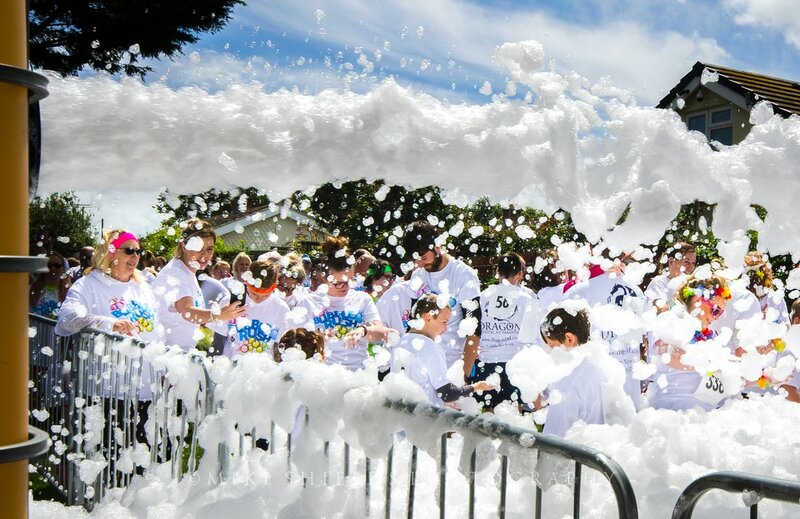 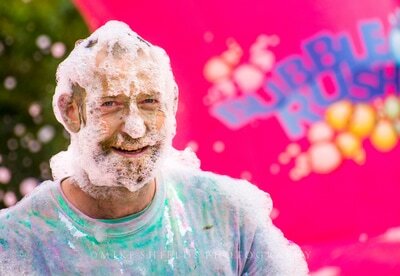 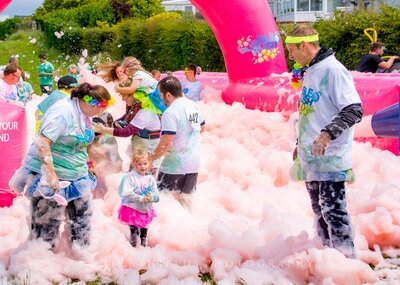 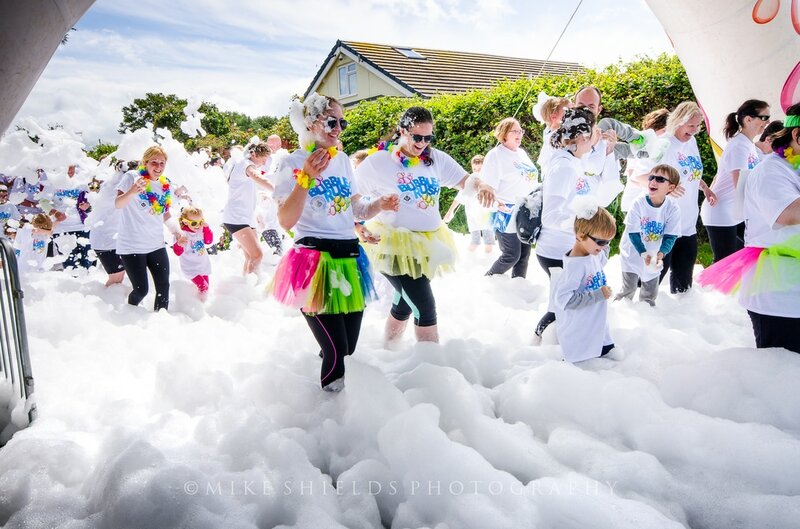 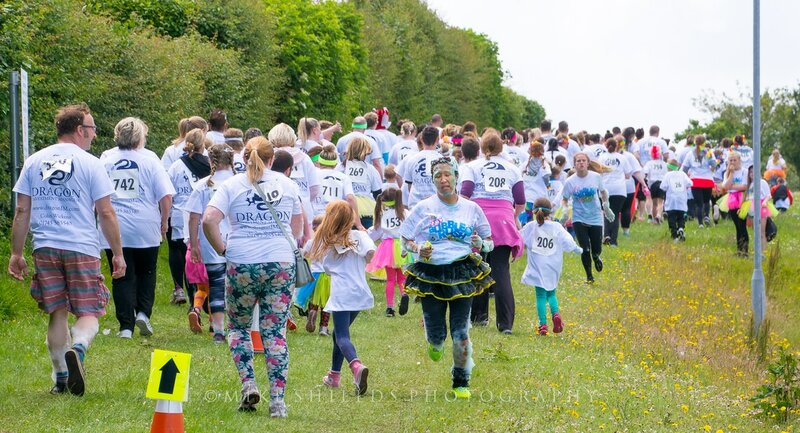 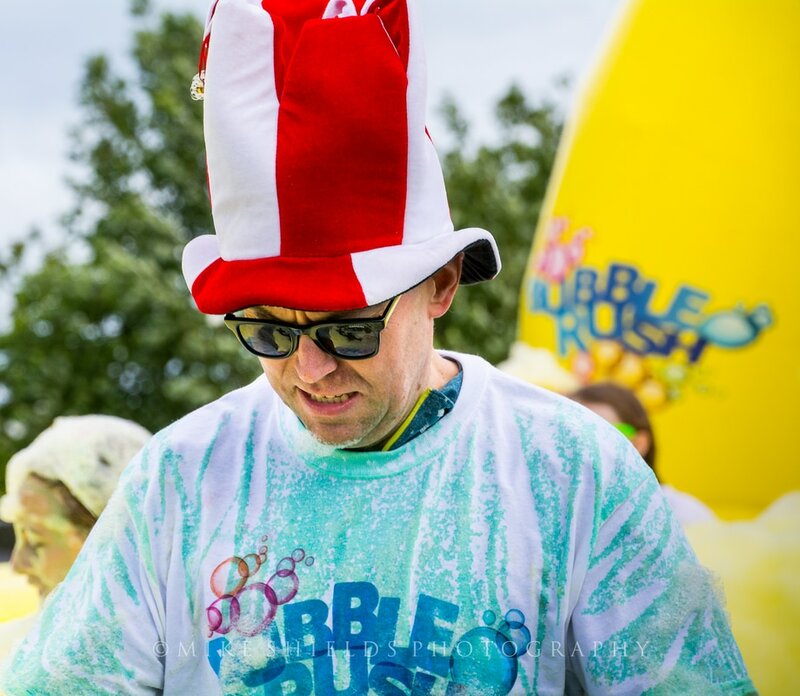 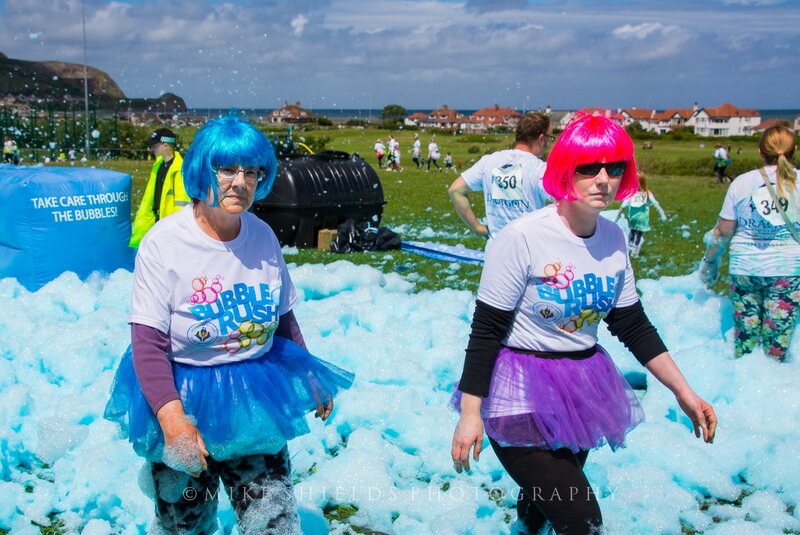 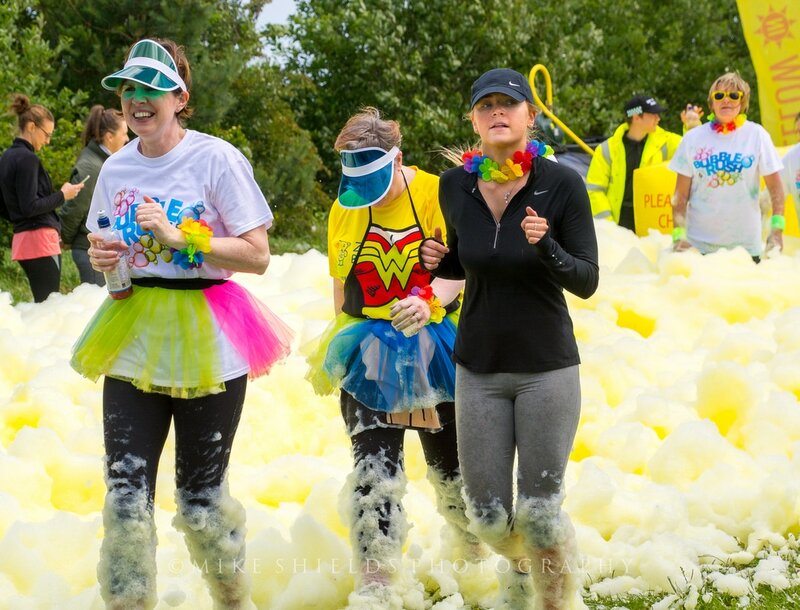 The Bubble Rush is a five kilometre run dotted with stations where high powered foam cannons blow out 30 cubic metres a minute of bubbles for entrants to run through. 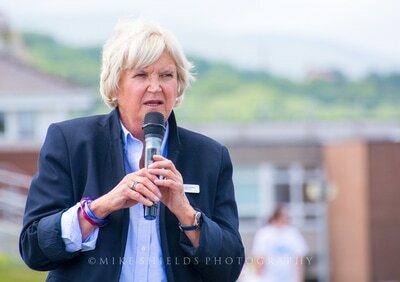 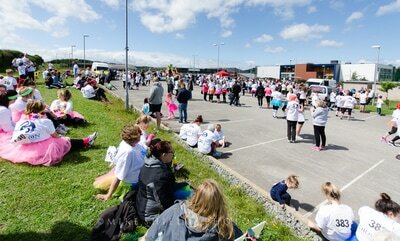 The event is held at Llandrillo College, Rhos on Sea. 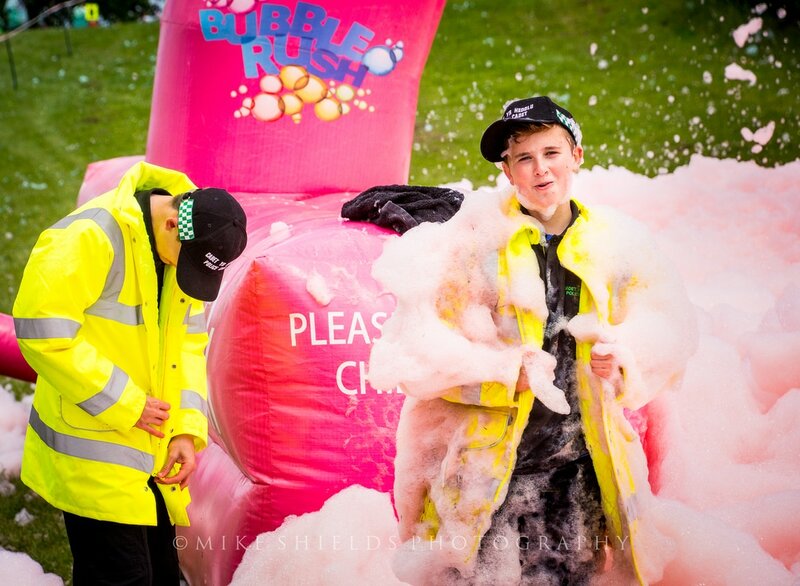 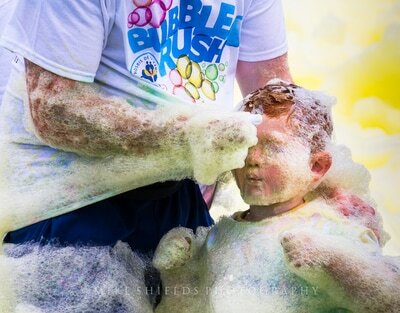 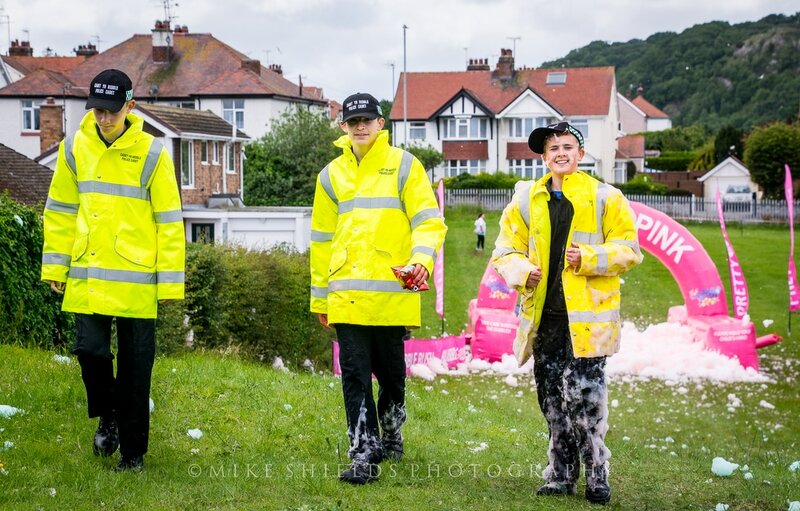 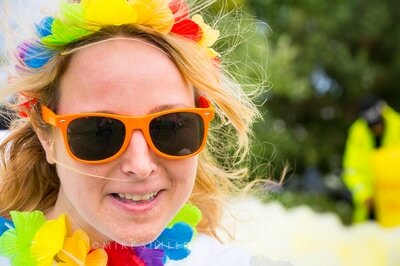 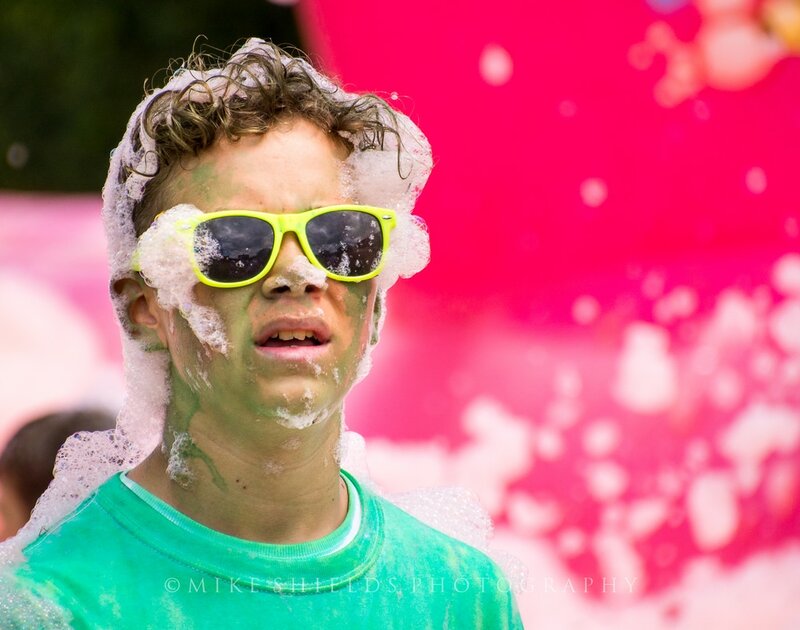 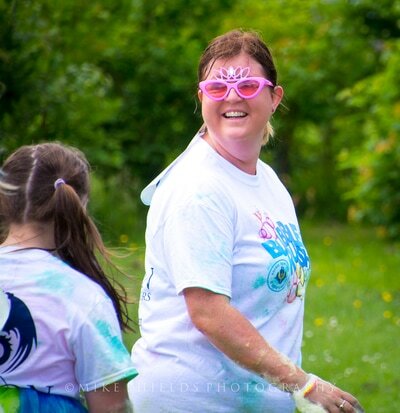 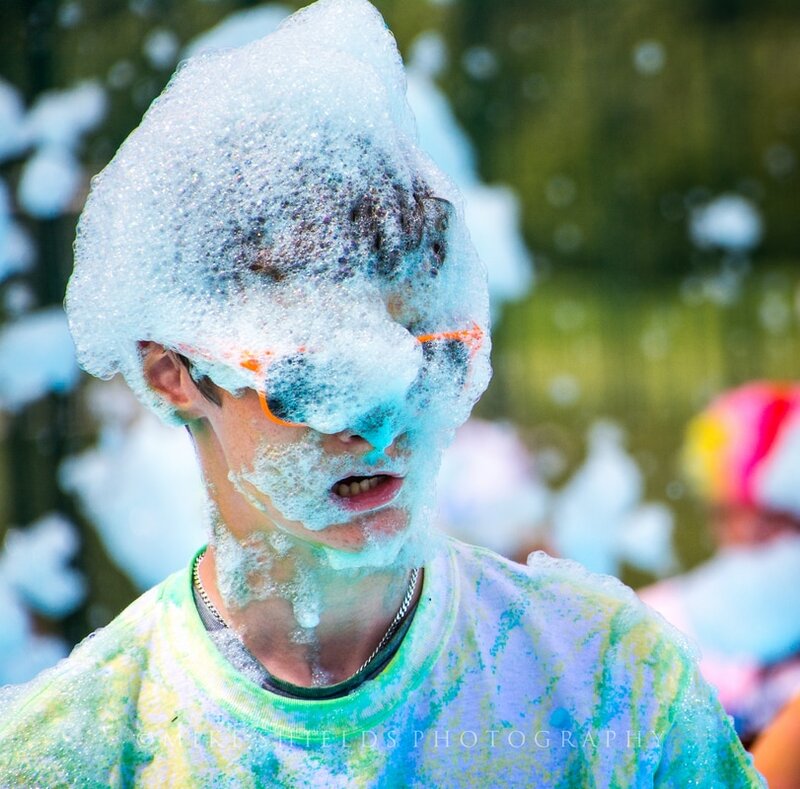 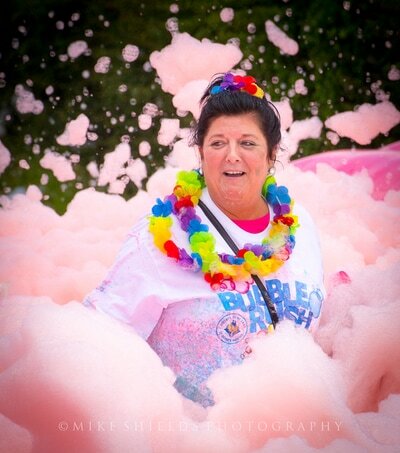 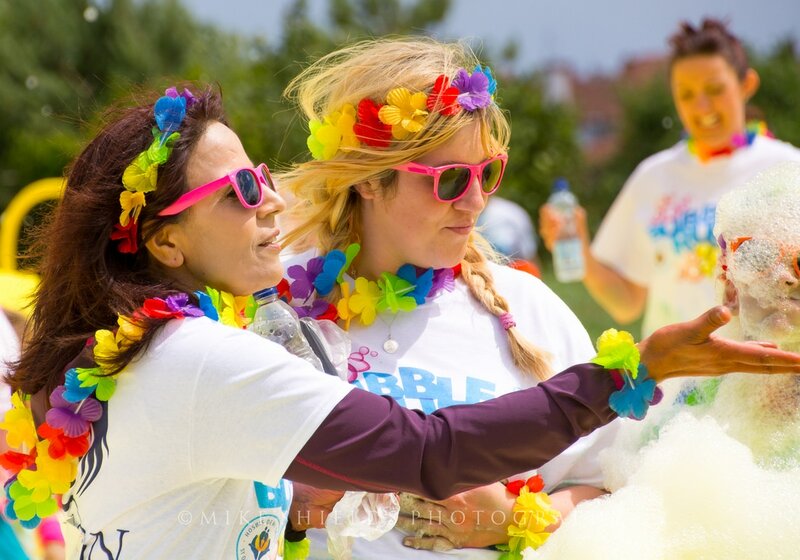 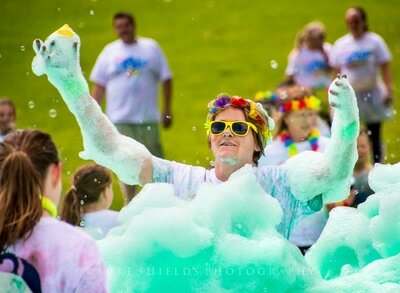 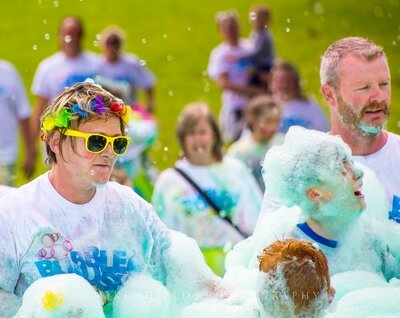 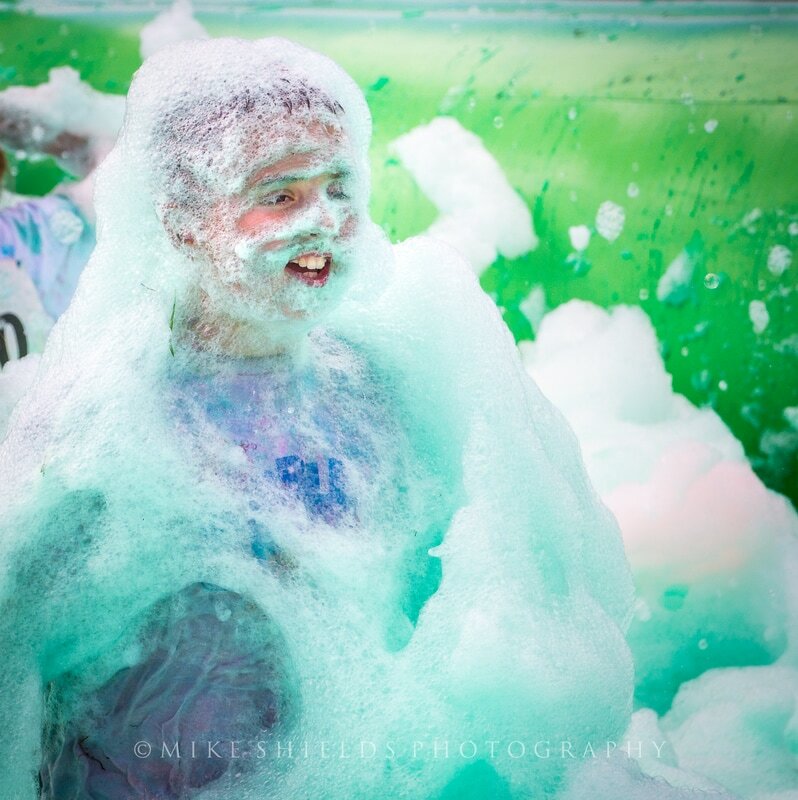 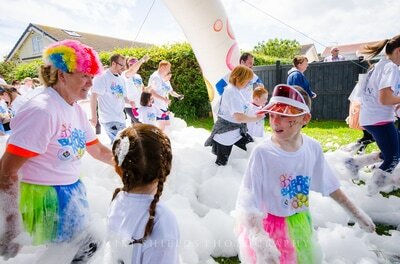 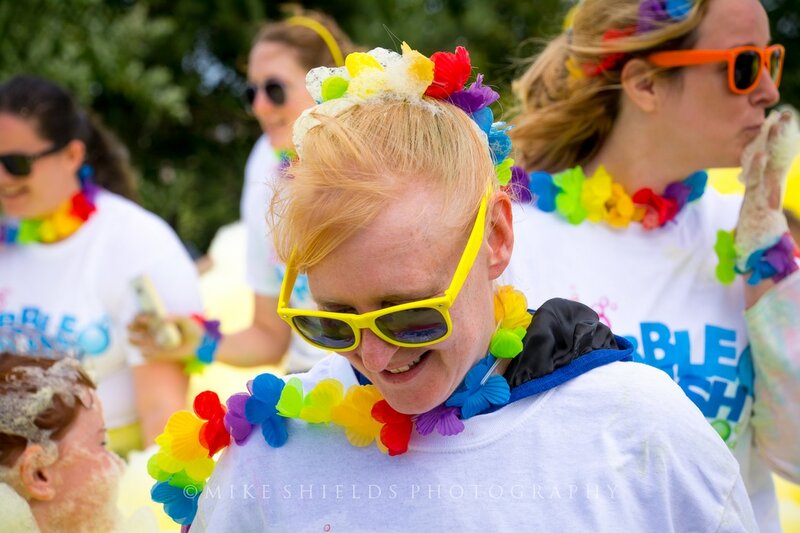 A trained team mans each foam cannon to make sure everyone gets covered in plenty of coloured frothy foam. 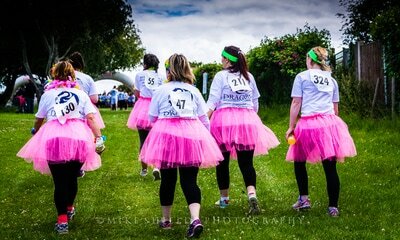 Any level of runner or walker can do this, you don't have to be someone that is serious about running. 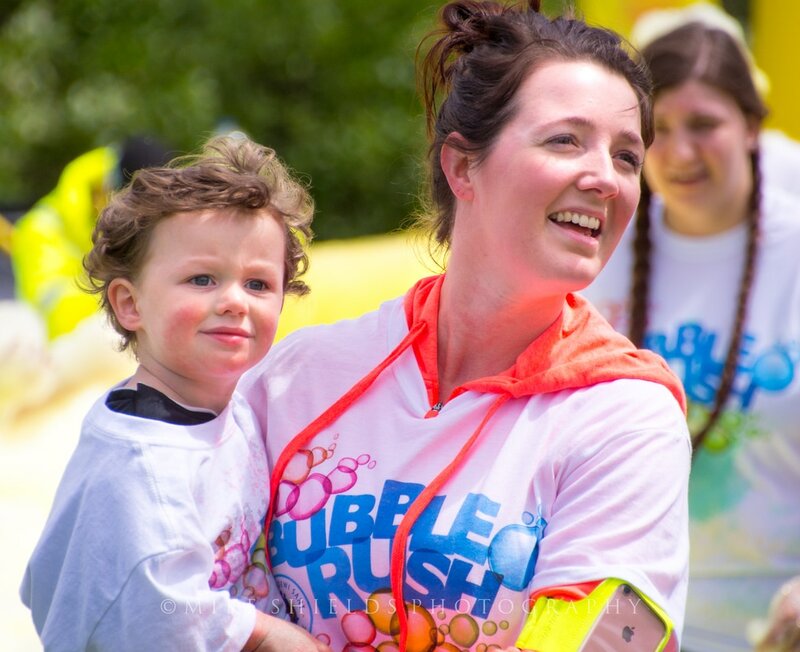 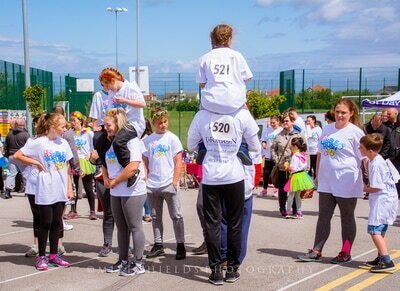 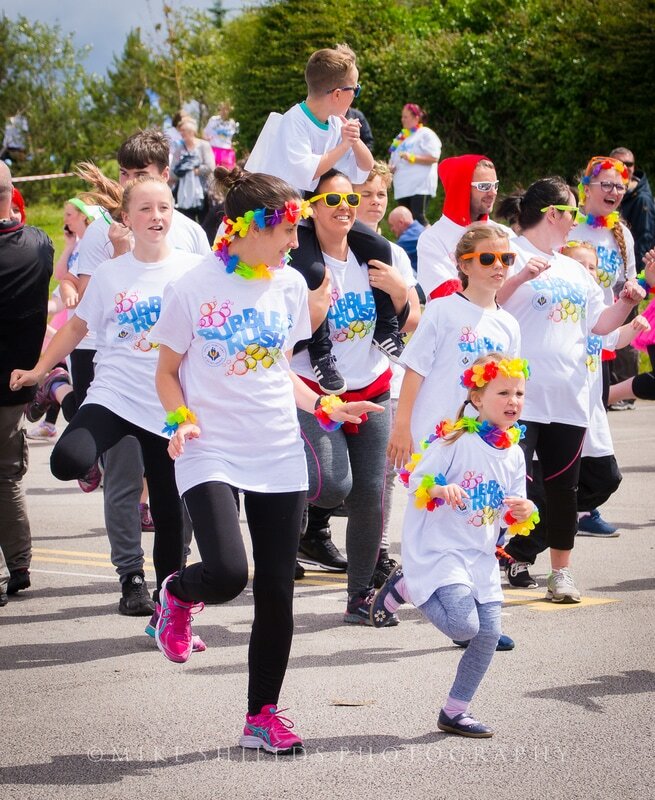 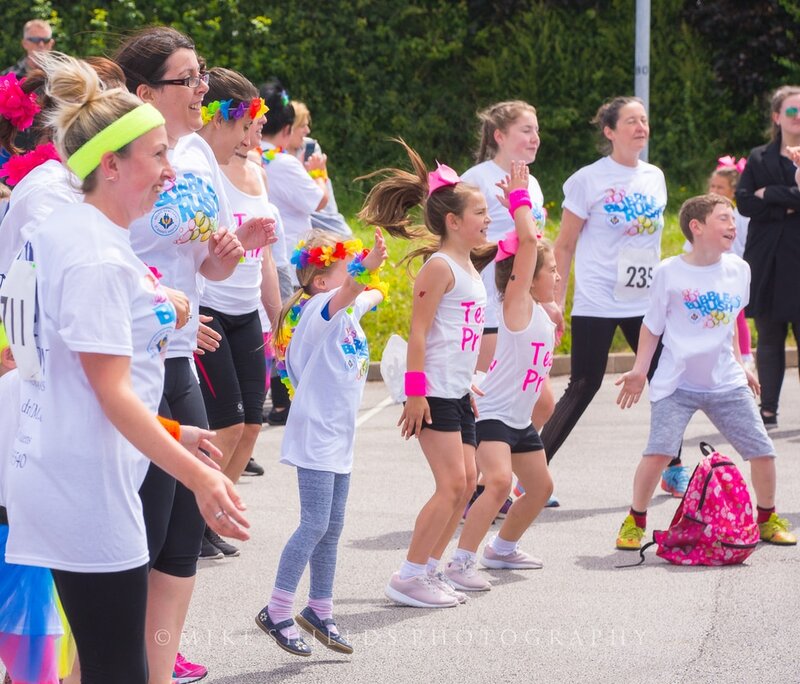 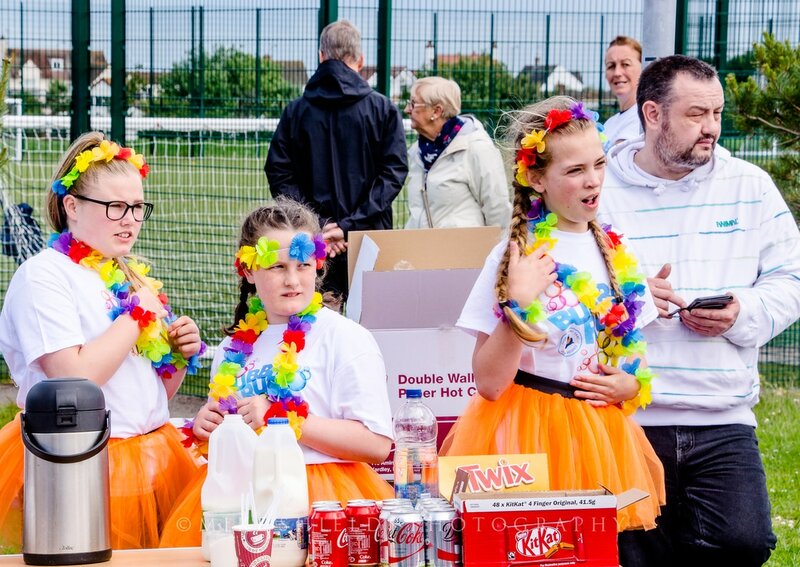 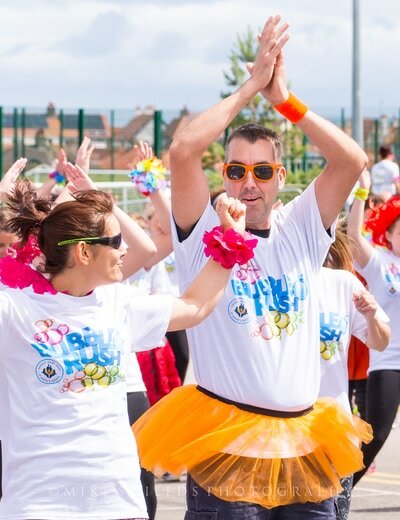 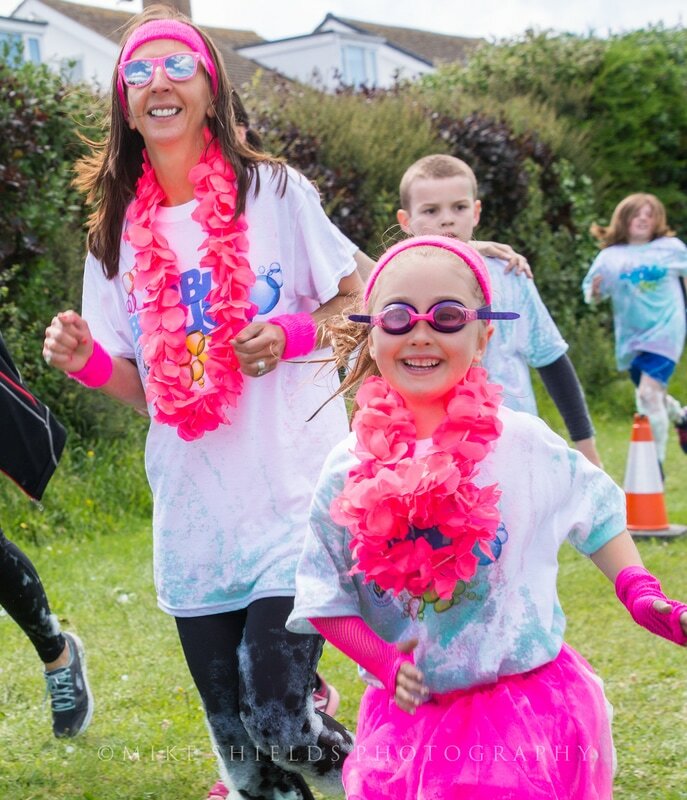 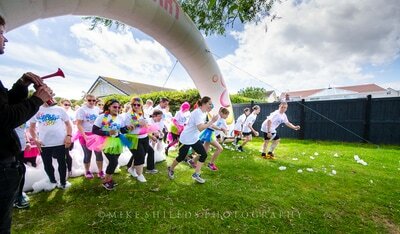 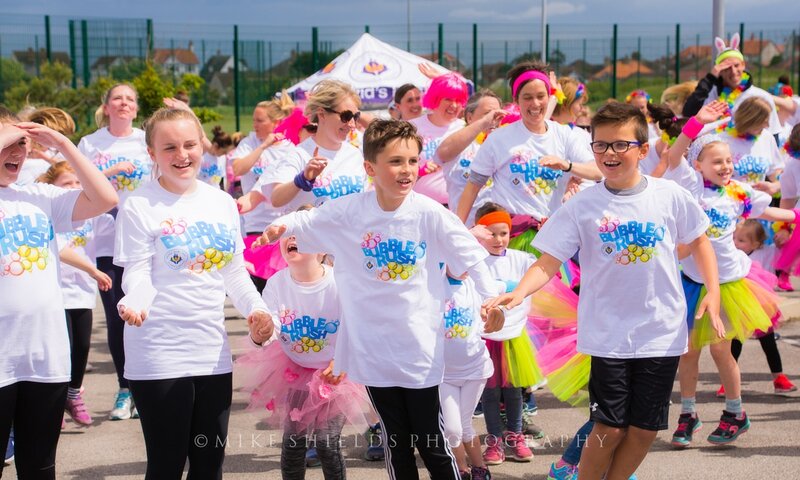 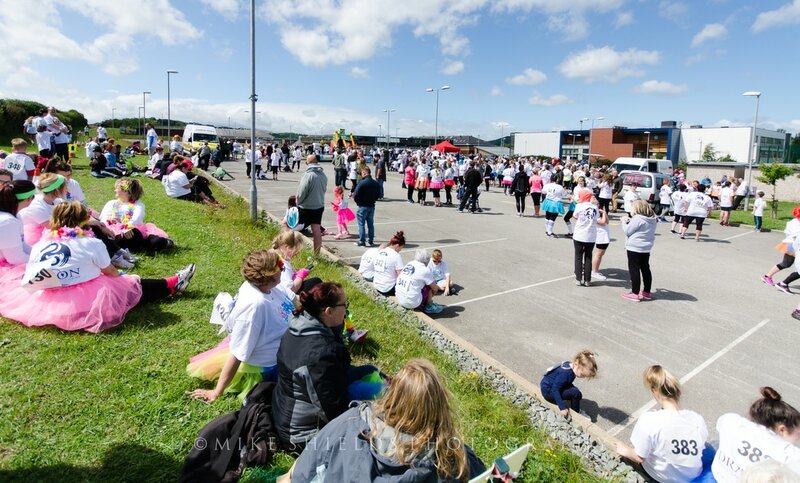 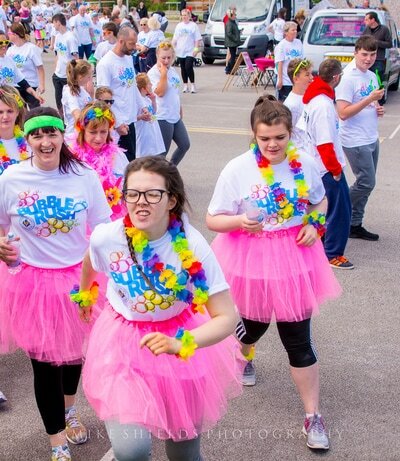 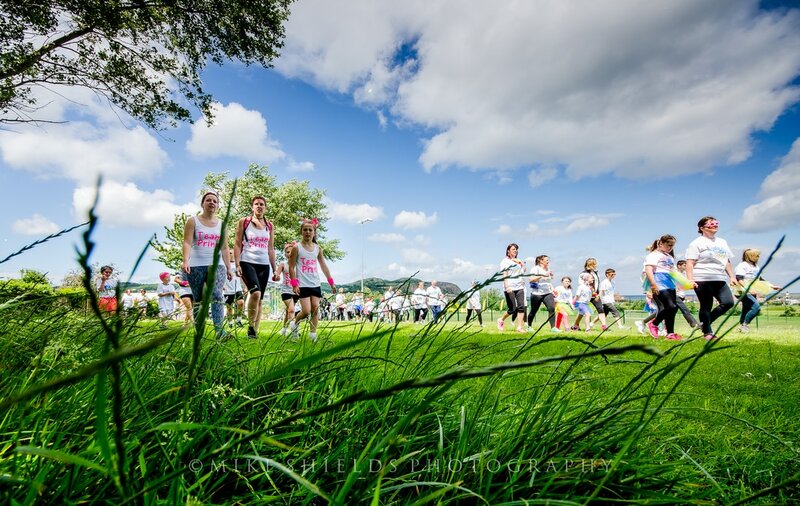 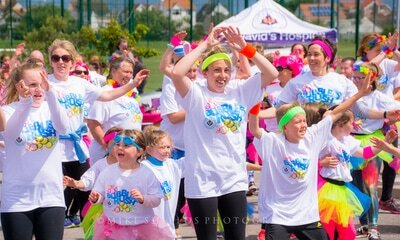 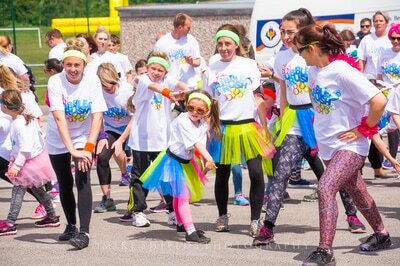 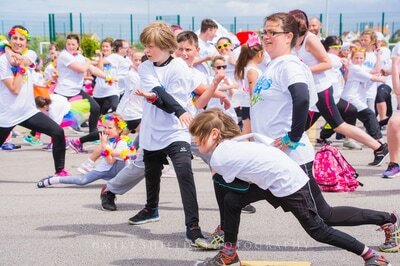 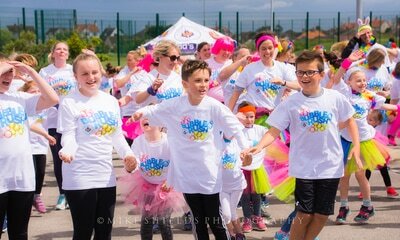 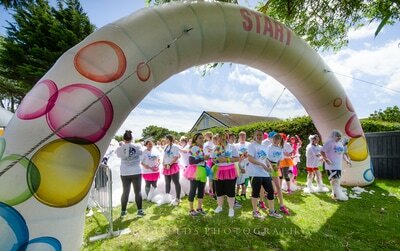 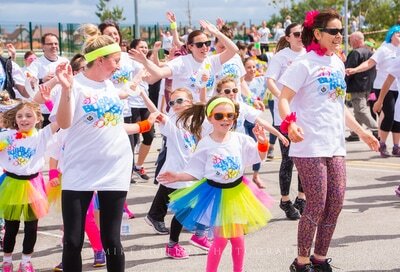 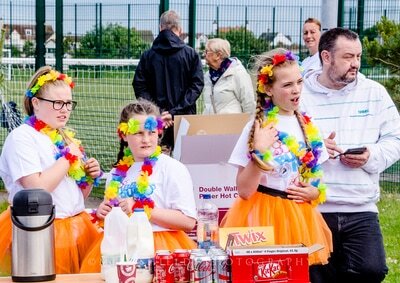 It's the perfect event for all the family to enjoy together whilst raising money for a good cause.